Be the first to share your favorite memory, photo or story of Ardell. This memorial page is dedicated for family, friends and future generations to celebrate the life of their loved one. 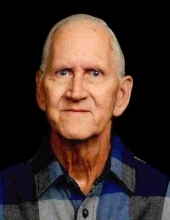 Ardell Yoast, 73, of Blairsville, passed away 6:30 a.m. Wednesday, December 5, 2018 at his residence. Ardell retired in 2006 after 37 ½ years working as a Master Technician for Koenig Chevrolet in Carbondale. Ardell was a veteran of the U. S. Air Force during the Vietnam War. Ardell loved to play country music, watch St. Louis Cardinal Baseball, loved hockey, especially the St. Louis Blues and Chicago Blackhawks. He was also an avid NASCAR fan. Ardell was born April 13, 1945 in Carbondale, IL to Ivan and Ada (Mutell) Yoast. Ardell was united in marriage with Terri Childress on July 31, 1971 in Jackson County, IL. Surviving are his wife of 47 years, Terri Yoast; two sons and a daughter-in-law, Hank and Melissa Yoast of Herrin, Ed Yoast of Herrin; four grandchildren, Karissa (Sean) Masters of Vergennes, Kristina Yoast of Herrin, Christian Yoast of Herrin, Easton Yoast of Herrin; sister and brother-in-law, Helen and Mike Dixon of Carbondale; sisters-in-law and brothers-in-law, Glenda and Bill Jones of Anna, Jerry and Charla Childress of Blairsville, Tim and Kathy Childress of Aviston, Ada and Van McGill of Royalton, Stewart and Cheri Childress of Blairsville and several nieces and nephews. He was preceded in death by his parents and four brothers, John Yoast, Virgil Yoast, Loyd Yoast and Irvin Yoast. Services will be 11:00 a.m. Saturday, Dec. 8, 2018 at Meredith-Waddell Funeral Home with Rev. Matthew Caraway officiating. Visitation will be 5:00 p.m. until 8:00 p.m. Friday, Dec. 7, 2018 at the funeral home. Interment with military graveside services conducted by the Scott Air Force Base Honors Detail, the Herrin American Legion Post # 645, Herrin V F W Post # 1567 and the Carterville American Legion Post # 347 will be in Cundiff Cemetery at Blairsville. To send flowers or a remembrance gift to the family of Ardell Yoast, please visit our Tribute Store. "Email Address" would like to share the life celebration of Ardell Yoast. Click on the "link" to go to share a favorite memory or leave a condolence message for the family.